Eco and Responsible travel now are the way of traveling while respecting and benefiting local environment, cultures, practices and economy. It also highlights significant elements of how to improve standard of living for ethnic poor communities, educate local people to protect the environment, help in reducing carbon emission, and helping nature by planting trees, protecting endangered animals. Besides that responsible tourism can also include efforts to help humanity by giving to the people in need, by volunteering time and knowledge, treat them or take care of their special needs. A group of companies that have founded responsible travel club in Vietnam (www.rtcvietnam.org) and Indochina include ACTIVETRAVEL ASIA( www.activetravel.asia/responsible_travel/ ). They co-operated with NGO’s such as SNV (Netherlands Development Organization) and Caritas Switzerland and created their products which are included the activities that not only give travelers the chance to discover the destinations in Vietnam, Cambodia and Laos, but show them who to improve local standard of living and protect the environment while their travels. 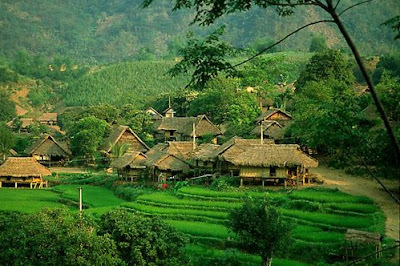 Some of the ATA tours are, Ha Giang Tour or Adventure in Northern Vietnam: An Eco-experience. The former is a 14 days, 10 nights tour which combines sightseeing with visits to local communities and ethnic cultural villages. During this tour you will be using motorbikes en route. During the tour the travelers will stop at some villages and learn how NGOs are helping in preserving the Vietnam culture and heritage and how travelers can contribute towards it. Travelers also get to explore the local culture as part of responsible travel through cultural ceremonies. ACTIVETRAVEL ASIA and Caritas expect to educate ethnic communities in Quang Ba, Ha Giang how to accommodate travelers and protect travel resources. Children in Ha Giang do not have the much resources to educate themselves and this helps in giving them some form assistance to get educated and also make you feel good about your contribution to these children. The above is just one of the ACTIVETRAVEL ASIA Responsible Travel products. There are several others which are coming soon in 2011 include countries such as Vietnam, Cambodia and Laos .